Woods End Landing - Cottages - Bamfield | Unique, self-contained accommodations for your fishing, hiking, kayaking get-away. Unique, self-contained accommodations for your fishing, hiking, kayaking get-away. Woods End Landing is looking forward to our third season of ownership. Come and check out our updated cabins and improvements to our grounds. Bamfield is known for some of the best fishing on the West Coast. Besides fishing, there’s Pacific Rim National Park which offers superb kayaking and wild life viewing opportunities, the West Coast Trail which begins just outside of Bamfield, Brady’s Beach and a network of day hikes are a short walk from our back gate, the world class Music by the Sea Festival, and much more. Bamfield is truly a unique community. Divided by an inlet into east and west, Bamfield is the only town in BC with a waterway for a “Main Street.” Along the shore of West Bamfield is the Boardwalk, a wooden walkway that hugs the shoreline and connects local residents and businesses to the two government docks. 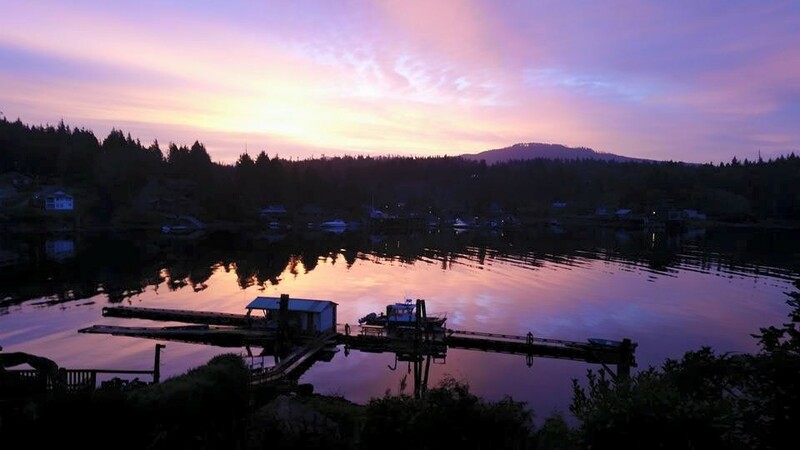 Throw all your cares away – visit Bamfield, jewel of the wild and wonderful west coast!